Thanks to an enviable location, authentic French cuisine and a wine list that doesn't quit, Mon Ami Gabi has become a cult favorite in Las Vegas. 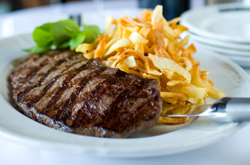 It has been consistently popular with diners seeking "a Strip restaurant with a great view." 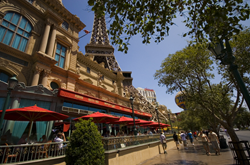 Perched directly off Las Vegas Boulevard, Mon Ami Gabi calls for a day of gluttonous relaxation. Whether sitting in the open-air patio, bright atrium or tucked away inside the café, peruse the impressive wine list with a baguette and some artisanal cheese. Mon Ami Gabi's signature rolling wine cart ensures a grape escape is never beyond reach by offering more than 80 boutique French wines (by the bottle or glass). 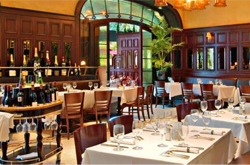 Mon Ami Gabi menu highlights include steak frites, classic Quiche Lorraine, duck leg confit, sea scallops, fruits de mer, and the grand "plat du jour." Call (702) 944-4224 for reservations.